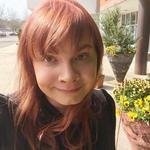 I am a web developer, business and economics student, and pun enthusiast in Greenville, N.C. I am a full-time student at East Carolina University with a passion for helping others through technology. I have six years of managerial-level experience in programming, web development and systems administration. I hope to use my unique skills and experiences in joining business and technology for the betterment of my community. During the past six years, I've served as the Technology and Records Manager for American Wood Vents, a manufacturing company in Raleigh, NC. During my time there, I developed our company’s website, order management system, and maintain technological infrastructure, as well as managed our OSHA compliance and corporate records. I also work with the Enterprise Applications team at ECU's Information Technology and Computing Services. On a personal note, I enjoy playing board games, solving brain teasers, and keeping up with far too many fandoms, ranging from Harry Potter to Evangelion. © 2019 Arianna Story. All rights reserved.